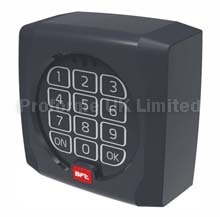 BFT MITTO2 Keyfob Transmitter For Electric Gates. Two channel rolling code transmitter 433mhz. Comes complet with instructions and batteries. Easy programming from one remote to another. Download MITTO PDF File. Here. Download MITTO Programming Instructions Here. Compatable with all bft Control Panels (Rolling Code).